Chad is Vice President Capital Markets for Marcus & Millichap Capital Corporation (MMCC) and has financed more than $1.5 billion in commercial real estate transactions across the country. 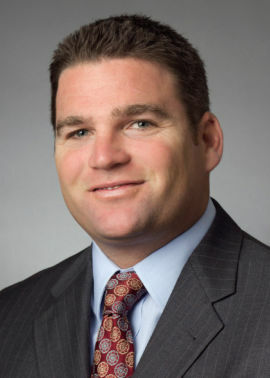 Chad is responsible for overseeing loan originations in the company’s San Diego office. He has a well-rounded perspective of the commercial real estate arena and financing structures that bring value to clients. Chad has consistently been honored as a top 5 loan originator for the firm. Chad is a graduate of the University of California Santa Barbara and holds a Bachelor’s of Science degree in biopsychology. He is currently active in the Commercial Realtors Association and the Mortgage Bankers Association and is also an active member of the International Council of Shopping Centers. Chad and his wife Lisa have three children, Logan, Landry and Tatum. In his spare time, Chad enjoys playing golf, surfing, snowboarding, and spending time with his friends and family.